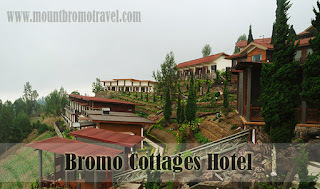 Bromo cottages Hotel is what you are looking for if you have a plan to go to Bromo for your next holiday. In fact, cottage is one of ways to stay in Bromo in an affordable price. Of course, you can still get what you need although it offers affordable price. There are several facilities you can enjoy while spending time in Bromo. For example, Bromo cottages is offering superior rooms, suite rooms, and villa. Those facilities are supported by private bathroom so it will be more comfortable. Moreover, you can also use different facilities in the cottage. Those are including money changer, car rental, room service, facsimile, drug store and many more. You can also use specific facilities to enjoy yourself such as traditional massage, bar, and many more. While enjoying surrounding, you can just put all your precious items on the deposit box. Of course, visiting mount Bromo by a private tour is not only about staying on the cottage all the time. The good news is that Bromo cottages is offering interesting and attractive activity. For example, you have a chance to know closer to the villagers of mount Bromo known as Tengger villagers. You have a great chance to see their daily activity and traditional activity done there which probably never seen before. You can also capture beautiful sunrise from mount Penanjakan. If it is not enough, you can also rent a jeep or horse to know mount Bromo closer. This is also your best chance to feel the atmosphere of the sea sand around mount Bromo. The most interesting part is when you are walking to the peak of the mount Bromo. Here, you are about to walk along the high way to heaven of mount Bromo. It is great sensation before seeing the beautiful of mount Bromo from the top of the mountain. Here, you can choose to stay in one of the rooms offered by Bromo cottages. You can stay in superior room, deluxe room, suite room, Bougenville cottage, Executive cottage, and also asking for extra bed. The service is including breakfast. For the cost of each types of room, you can just directly call the cottage so you can get the latest information. Later, you are ready to spend your holiday in mount Bromo whether you are doing it with friends or your family. In the end, if you really want to go to Bromo don’t forget to find more information about Bromo cottages hotel so you have a perfect place to stay there.